At FLOAT we believe that luxury can't be manufactured or faked. It's hand crafted, it's designed, it's deliberate. Luxury means that every detail is thought of and every feeling is cared for. It is born out of passion and built out of creativity. 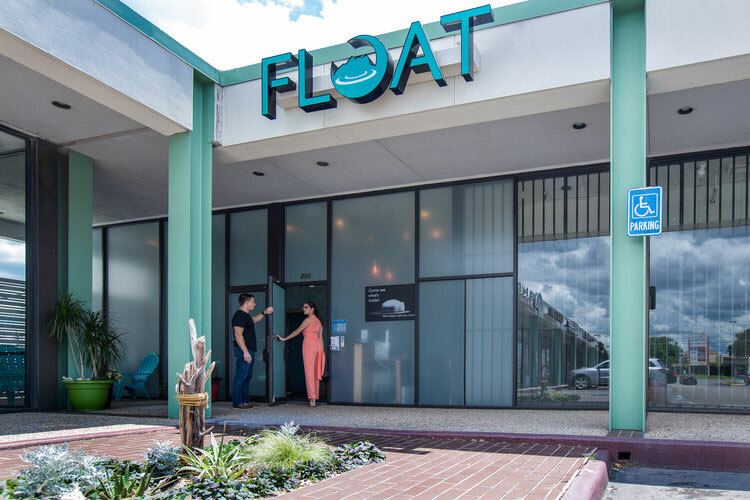 FLOAT is locally owned by Courtney and Jeremy Jacob, who not only wanted to create a great float center, but also a place for healing. The difference is the people and the service. At FLOAT we want each guest to see and feel that we care about your experience and that we will always strive to make you feel special. After you check in, you will be escorted to a locker room where you can leave behind the outside world and change into a comfortable robe. There are a lot of elements that go into creating a great float center. At FLOAT we have both cabin and pod style tanks Modern, High-Tech equipment that is maintained diligently is very important, but the room that they are housed in is equally important. Our tank rooms feature fully soundproofed walls and ceilings to limit distractions while floating, separate climate control to maintain the perfect room temperature, filtered and softened water for the showers, and even hot water circulation to make sure you get hot water in seconds. At FLOAT you will see that every detail was thought of and cared for, so you will know that you are cared for as well. In our lounge you are able to relax after your float or massage and enjoy water, hot tea, mineral water, or kombucha. This space also doubles as a local art gallery. We feature local artists, and the artwork rotates so that you might see a new piece of art each time you visit!